Women Emerging in Business: What's Your Ask? During a planning meeting with the chief executive of a 30-million dollar company who wanted to implement a media program I created, the final question he asked before we sealed the deal was, "So, when I present your platform to stakeholders, what exactly is my ask to get engagement?" The purpose of the platform I crafted for him was to engage business prospects and increase market share in targeted, untapped demographics. From my presentation, he gained a clear strategy, results the program would offer, yet he needed one final, critical insight. In essence, he was asking, what should my specific 'ask' be to lead my prospective customer to a decision to engage and act? What exactly am I asking the customer to do to get their buy-in? Then, clearly and confidently ask for what you want. While a clear “ask” may seem basic to some, it’s a huge factor and can be easily overlooked in the excitement of a business deal, product or service-based business launch. What exactly are you asking of your potential customers, clients and supporters? Because we are highly relational as women, we should always be clear and intentional on what we are specifically asking of our clients, supporters or tribe. We shouldn’t be too aggressive, but we must be intentional in our dealings. In networking events – go with a clear strategy on what you seek to gain and ask of potential connections, stakeholders or partners. Go with a substantive plan (notice I didn’t say grandiose or big). Big doesn’t necessarily equal effective, nor lasting impact. Save the girls’ night approach for girls’ night; meaning, avoid sharing irrelevant stories, pushing friendship versus solid connections and simply meeting people to have fun. Oh yes, have fun! But do so with a strategy and get results. Good results. When doing business, that’s exactly what it’s about – business. You never know what powerful contacts you can make, so be clear, focused, strategic and engaging. Do I mean shove business cards down a person’s throat without learning about them first? No. You must organically and authentically connect. Go with a clear purpose, strategy and expectation of results. Time is valuable, so use it wisely. When you lack clarity with your prospective audience and shareholders, you’ll lack buy-in and effective exposure of your product, brand or service. Many times, we (me included!) get excited about the vision and concept, but WHAT exactly are we asking our potential clients, partners and investors to do? Have at least one to three specific ways the client can take action, partner and get engaged with your offering. What is the core purpose of this meeting? What is my purpose and role in this meeting? What is the desired result, goal or objective of my client or prospect? Where can our business deal be in alignment in a way that resonates with both my client and the value I offer? What specifically am I asking of the client to reach a win-win result? After diligently answering the questions above, you'll be equipped, poised and confident to obtain the results you desire. Chat with us! Let us know in the comments section below how your networking, negotiating and business endeavors are going. We’d love your feedback, questions and we invite you to join our social media communities. Follow us on Facebook and Instagram @emergewomanmagazine for more inspiration, tips and strategy. Qiana Cressman is founder and CEO of Emerge Woman Magazine and Emerge Enterprise Media, LLC. She's a speaker, advocate and media strategist. Cressman trains, coaches and consults clients on effective media etiquette, delivery and strategy. She has 20 years of corporate leadership experience in marketing, media and community engagement. She has worked for global, multi-billion dollar nonprofit organizations. 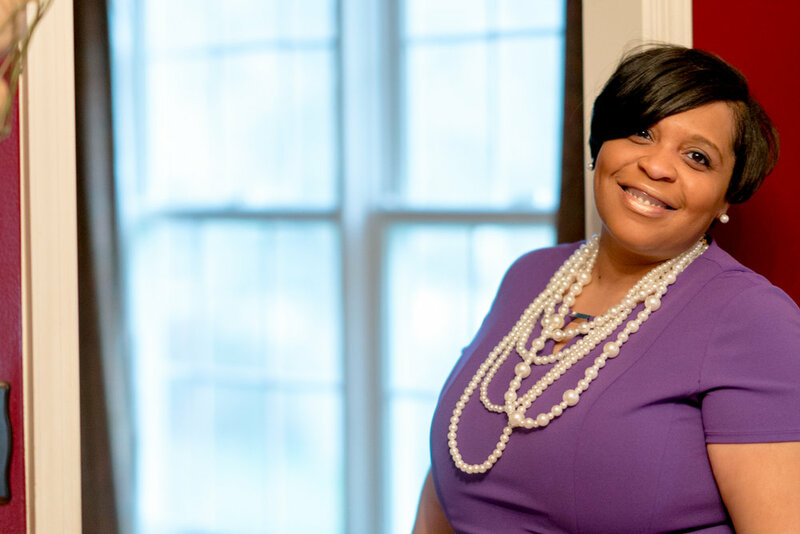 She serves as a National Advocacy Network Leader for the Sickle Cell Disease Association of America and on the Board of Directors for the African American Business Leaders Council of the Greater Lehigh Valley Chamber of Commerce.